This weekend our plans are the BIG UTSA v. Texas State rivalry basketball game! Tickets are $9 for adults, $7 for children. 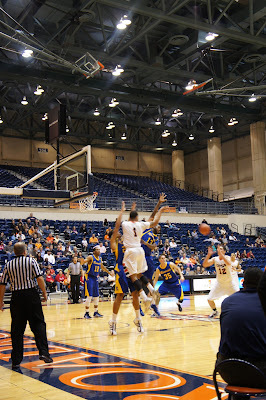 Here are some pics from the last game we attended during the holiday break. Keep in mind that the students are on break, hence the empty seats. We try to take the kids to at least one basketball game a year. The campus has grown so much, compared to when we went. We enjoy watching it grow, and it's nice to show the kids where Mommy and Daddy went to school. As first generation college graduates, it is also important for us to keep our kids exposed to higher education.And to top it off it's fun! We wear our gear, cheer, eat nachos and love watching Rowdy and the time-out games. 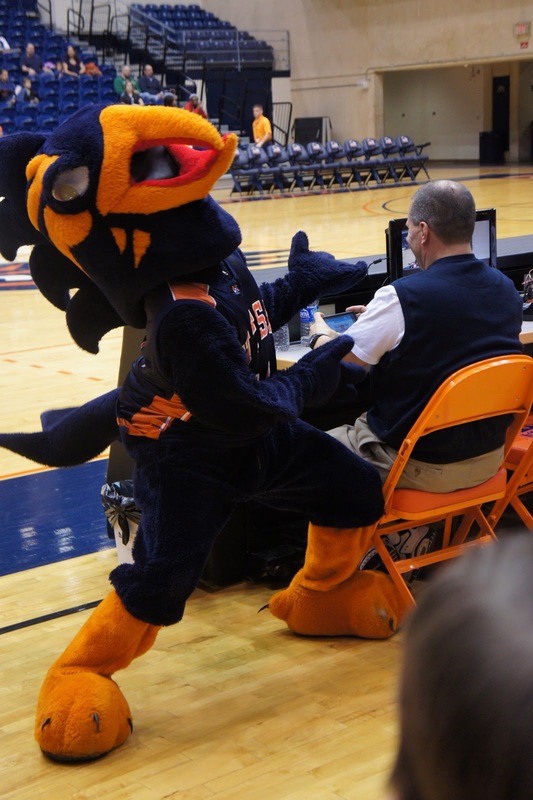 And if you don't know who Rowdy is, you'll soon figure out that he is one of the best mascots around! He has his own Facebook page, he tweets, and has some killer dance moves! We have made it a part of our family culture! 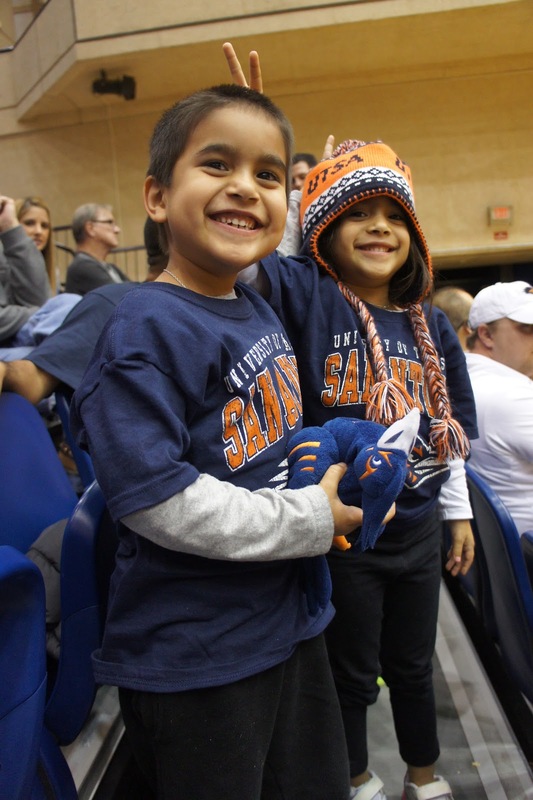 The UTSA Family Association is having Family Day March 3rd, tickets for Men's and Women's basketball against IT Arlington are only $5 with the code "family" when purchased online. The guys at the Box Office are always super friendly and helpful. You can also give them a call at (210) 458-8872. Support local! Go UTSA! Go Runners!